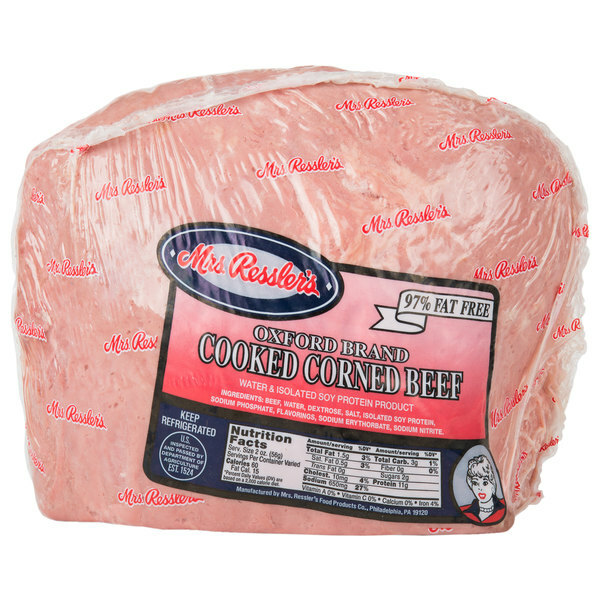 Whip up hearty, succulent sandwiches in your deli, sandwich shop, or cafe with this Mrs. Ressler's 7.5 lb. Oxford Brand corned beef flat. This strap-off corned beef deli meat will produce lean, thin cuts, allowing you to easily and quickly prepare gourmet sandwiches packed with tender flavor. Prepare the classic Irish reuben by pairing this corned beef with fresh sauerkraut, creamy Russian dressing, and Swiss cheese between two slices of fresh rye bread for a succulent sandwich that is sure to please. This lean corned beef is a tasty addition to any deli tray. Layer with honey glazed and applewood ham, roast beef, and oven roasted turkey alongside american, provolone, and Swiss cheese, for a great party platter for any event. This meat is made from USDA Inspected quality beef, and expertly trimmed to yield a leaner product. It has been marinated and injected to provide you with a tender, great-tasting meat. With 0g trans fat and only 60 calories per serving, this corned beef is an ideal option for the health-conscious consumer. Ready for immediate service, simply slice it to the desired thickness and serve. 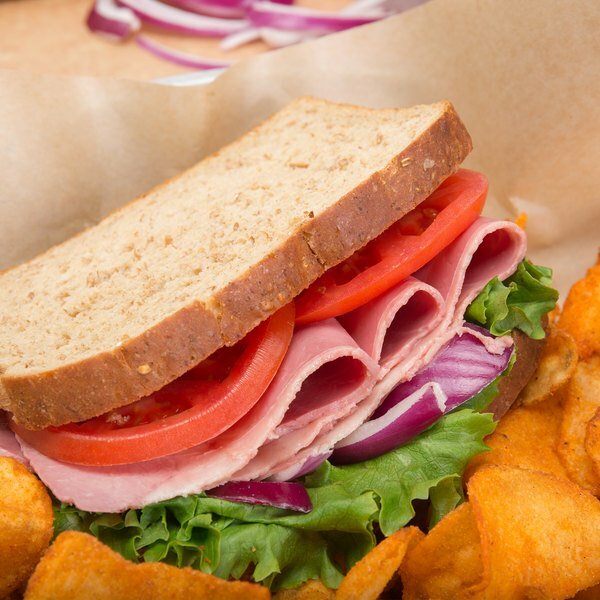 Since 1954, Mrs. Ressler's has been dedicated to providing quality deli products to consumers. Family-owned for three generations, and based in Philadelphia, PA, they manufacture both beef and poultry products that stand out from the competition. Combining the highest quality meats with the finest ingredients, their premium products are sure to add some delectable flavor to your deli case.